The agricultural sector has always been the back bone of the Irish economy. It is Ireland’s largest indigenous industry with a turnover of some €26 billion annually. The agricultural sector is not only critically important because of the large number of people it employs (equivalent to the numbers employed by US multi-nationals in Ireland) but also because of where it employs those people – in rural Ireland. sectoral basis, nor by reference to the overarching strategy for Irish agriculture – Food Harvest 2020.
the fragmentation of Irish farms, the ageing of the farmer population not to mention issues connected with income volatility which is a problem common to commodity related sectors worldwide. But equally there are very many real opportunities on the horizon which Irish farming can exploit including, the ending of milk quotas, the increasing consumer demand for environmentally sustainable products and the positive ‘green’ image of Ireland abroad. 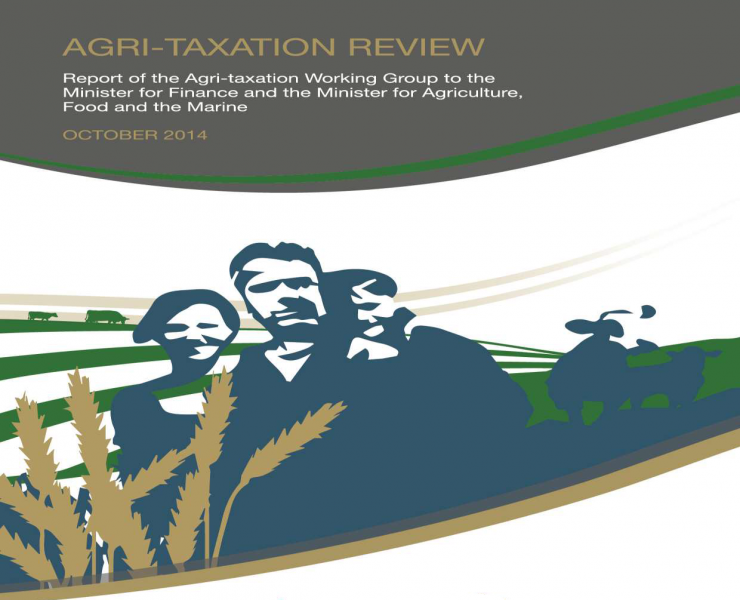 The overall objective of the Review, which has been a real collaborative effort between my Department of Finance and Minister Coveney’s Department of Agriculture, Food and the Marine, is to maximise the benefits for the farming sector and the wider economy of the existing level of State support through the tax system.